One of the most common questions that dentists hear is, “Should I be using mouthwash?” It is an understandable question. Any trip to the grocery or drug store will leave you with plenty of mouthwash options, and it may make you question whether or not you need to add this to your dental routine. The answer it, it depends. 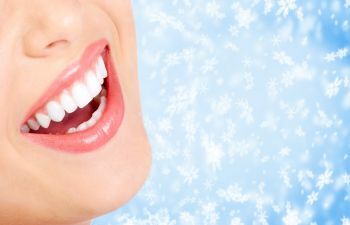 For those who are adamant about taking care of their oral health – meaning they floss every day, they brush at least twice a day, they avoid bad habits, they do not smoke, and they avoid harmful foods, beverages, and substances – then, no, mouthwash is not a beneficial component to oral health. It will not hurt, but it is not necessary. However, because those who fall into the categories listed above are few and far between, many people can benefit from using mouthwash regularly. Mouthwash that has the American Dental Association’s (ADA) seal of approval will have the ingredients that your mouth needs to prevent cavities and decay. These mouthwash options will help kill harmful bacteria that linger inside your mouth every day. Mouthwash will also help to improve bad breath that is notorious among those who do not floss or brush frequently. While mouthwash is beneficial, it is not a substitute for flossing or brushing. Mouthwash will not remove plaque from the teeth, it will only help to kill the bacteria within the plaque. A visit to your dentist will still require a good deal of scraping if you are relying on mouthwash to keep your mouth clean. Pregnant women can also be greatly benefited by using mouthwash during pregnancy. Hormones fluctuate quite a bit, causing the gum tissues to become swollen and irritated. It is important to keep bacteria and infection at bay during pregnancy because these can easily be passed on to a growing baby inside the womb. Should you be using mouthwash? The real question is, how well do you clean your teeth? If you are not flossing and brushing daily, adding mouthwash to your daily routine can help you keep a better smile.